1. 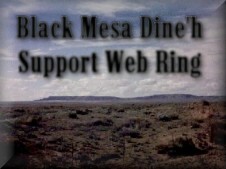 SENAA's Dineh Support Web Ring, owned by SENAA International. A web ring that provides comprehensive information about the struggle of the Dine'h against human rights violations and attempted genocide at the hands of the Bureau of Indian Affairs and Peabody Coal Company. 2. Dineh Relocation Resistance; Robert Dorman, owned by Robert Dorman. The largest forced relocation of American Indians in the 20th century, making way for Peabody Coal Co. to strip mine native lands of the Dineh, with aid from corrupt US and tribal governments. 3. SENAA International, owned by SENAA International; Founder: Al Swilling. advocates the preservation and protection of Native American human rights; as well as Native American burial, sacred, and historical sites. A Dine'h Support Group specializing in furthering public awareness of human rights violations by the U.S. government in the 20th and 21st centuries against traditional Indigenous Americans within U.S. borders. 4. Native Dine', owned by slroute66@hotmail.com. 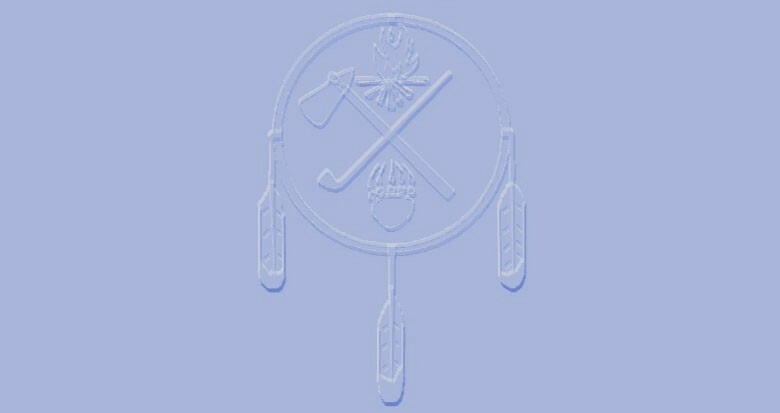 Dine' personal website about news, current issues, hobbies and a couple of fan sites for Notah Begay III & Indigenous. A Big Mountain Dine'h support site. viewers to be updated on news that directly impacts Dine'h elders and their ability to remain upon the sacred land of Big Mountain. Non-violent actions on behalf of a free Dine'h are also made known through this site. 6. Off the Blue Highways in My Mind, owned by louve14@aol.com. What started out as a personal website has turned in the direction of an educational one meant to inform others about the problems faced by the Dine'h, a quest for a Native American Holiday, the importance of preserving our ancient forests and wolves as well as other topics of related interest. A Big Mountain Dine'h support site. 7. SENAA Europe, owned by SENAA International; Division Director: Fred Buma. SENAA Europe is the European Division of SENAA International, a Native American organization that fights for the preservation and protection of human rights for Native Americans and all indigenous people everywhere. We also are active in preservation and protection of Native American sacred, historical and burial sites. A Big Mountain Dine'h support site. 8. Protect Kaho`olawe `Ohana, owned by Protect Kaho`olawe `Ohana. Kaho`olawe Island, Hawai`i: in our work to heal Kaho`olawe, we strengthen our relationship with the land and pay respect to our spirits of the land. On our own islands, we work to protect the natural and cultural resources of our ancestral lands. 9. Mauro's Dineh Information Site, owned by Mauro de Oliveira. by human rights abuse at the hands of the U.S. government, specifically the BIA. SENAA Sweden is the Swedish Chapter of SENAA Europe and a subdivision of SENAA International, a Native American organization that fights for the preservation and protection of human Rights for Native Americans and all indigenous people everywhere. We also are active in preservation and protection of Native American sacred, historical, and burial sites. A Big Mountain Dine'h support site. 11. The Talking Tree, owned by Nathan Cowlishaw. A tribute to Creator, Mother Earth, and Nature; and a tribute to the warrior spirits of those who fought and continue to fight for the Creator-given rights of Indigenous Americans. When you have been accepted into the Dine'h Support Web Ring, you will receive an e-mail from SENAA International with an attached ZIP file containing everything you will need to install SENAA's web ring table onto your site. A "SDSRreadme.txt" file will be included with instructions for adding the table to your web page. When you have inserted the HTML fragment and graphic, and have uploaded your page, send an e-mail to senaa@senaa.org, and your site will then be entered into the web ring. owned by YOUR NAME HERE. This page was created by Al Swilling for SENAA International. (c) 2000. All Rights Reserved.